After the winner is crowned, the real party starts. This year’s celebrations include an old-time threshing bee, archery demonstrations, a garage-sale, beer gardens, Show N’ Shine and an evening dance. Don’t leave town before seeing a Mammoet crane drop a giant pumpkin from 150 feet up in the air on top of a car. Yes, this rural town embraces its agrarian roots in the fall, but Smoky Lake is a year-round destination with a variety of attractions, especially for outdoor enthusiasts. Cyclists, quadders, cross-country skiers, horseback riders and snowmobilers can pick up the historic Iron Horse Trail – a former fur-trading route – from downtown Smoky Lake. Other history lessons can be learned from onion-domed Eastern Orthodox churches, built in the late 1800s by Ukrainian homesteaders. No trip to a farming community is complete without taking home some locally grown produce. 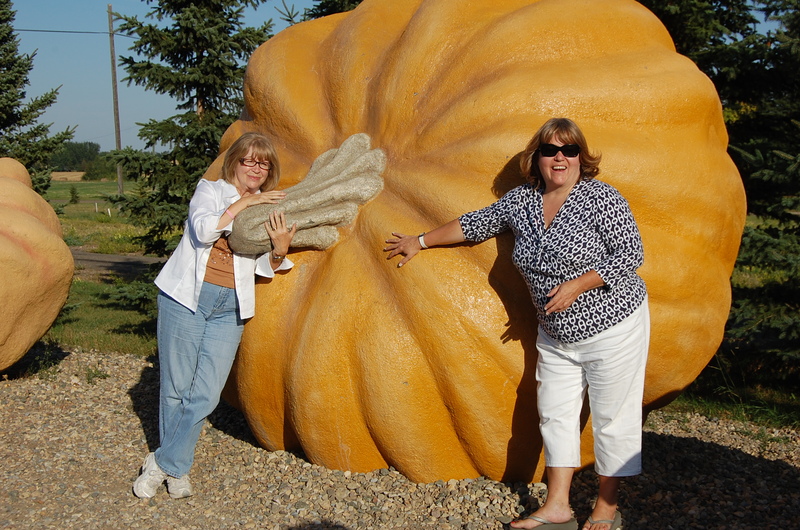 To view the full schedule of events on October 3 and find out how to enter the pumpkin weigh off, visit the the Smoky Lake town website.